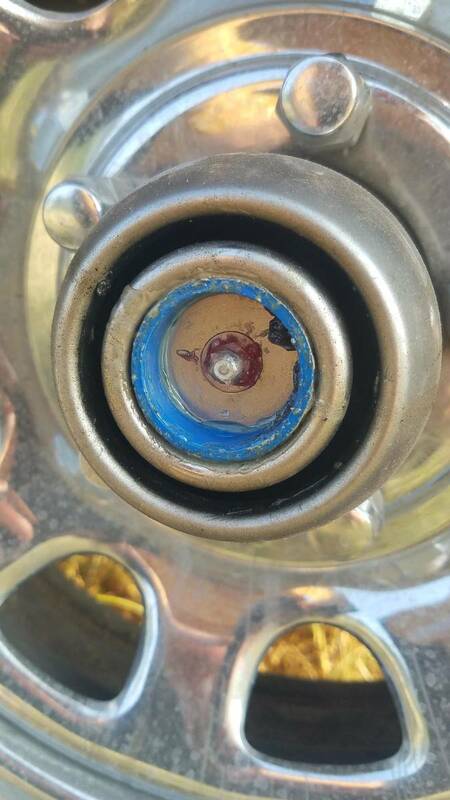 Where to find center cap on older bearing buddy. I have a 2000 Malibu Sunsetter LXI on an Extreme Tandem Axle Trailer. 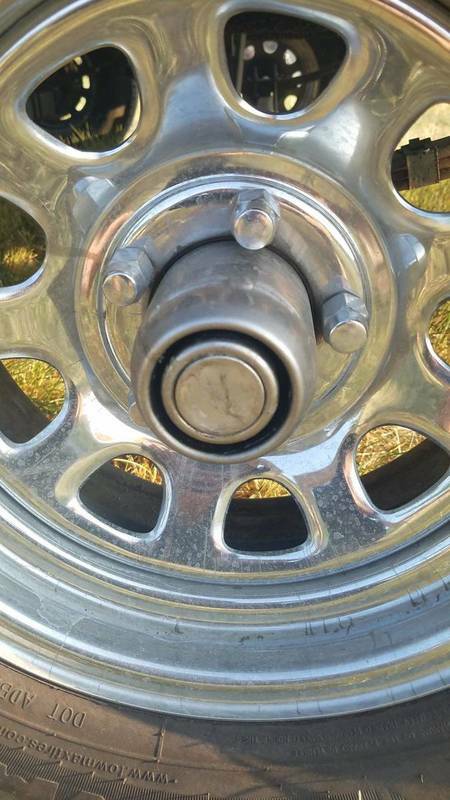 It has some type of bearing buddy, not sure if it's the bearing buddy brand or not, and it is missing the metal looking cap that clips into the center to cover the grease zerk. Does anyone know where to get that cap? 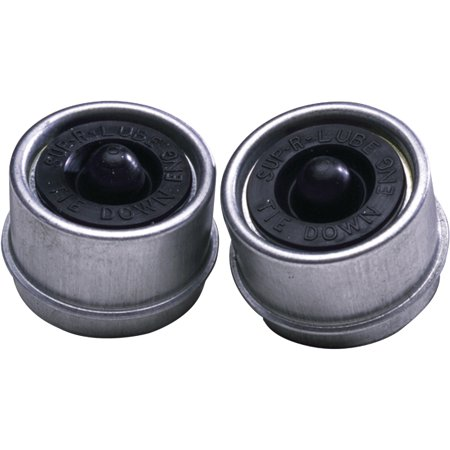 Would it be better to use the rubber cover that the newer bearing buddies use? Is it a Bearing Buddy or some other off brand that looks very similar? I think I might have one. It is buddy bearing. Does yours have a blue plastic where the zerk? Let me know. I also might have one in my garage. I’ll try to remember to look tomorrow. I'll have to look this weekend (it's about 3 hours from where I'm sitting right now), but I'm pretty sure that when I was pumping more grease into it, a blue ring appeared as it started to come out a little. I kind of like the old metal cap because you can instantly see if it needs more grease (because you can see if it extends out a little) without having to take off the slip over rubber cover that the newer version has. That's awesome you guys might have one. I'll get a picture of it this weekend along with it's measurements to be sure it's the right one. 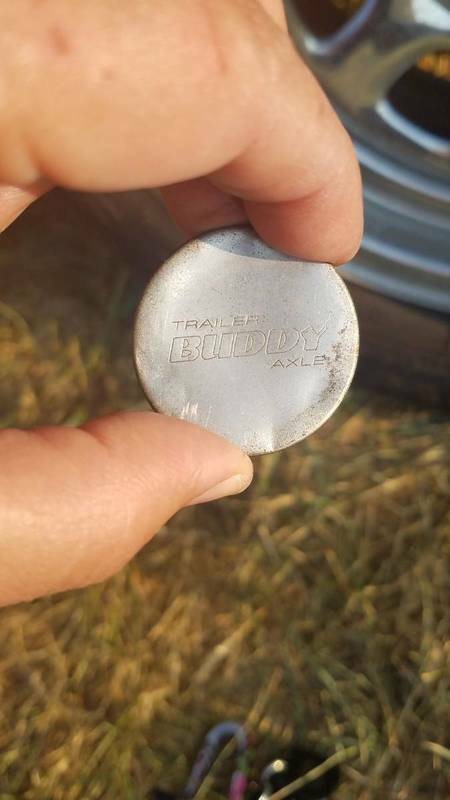 It does have a blue ring, and the cap says Trailer Buddy Axle. How do I attach pictures to my post? It looks like pacifictrailers.com carries them. Use a 3rd party app or become a paid member to attach directly. I just ordered a bow safety cable from them and shipping doubled the cost of the cable, so I emailed customer service and they adjusted the shipping price for me by sending me an invoice! Great customer service and response time too. Also, I don't see an option to become a paid member? So what's the process to become a paid member? Supporting member option is in the Store. You looking for these? They come in different diameters. These specific ones are shown on Amazon. Not uncommon to fall off if re-used after taking the axle apart. Always keep a couple spares when I traveled with my 2001 boat. Above is for Dexter Trailer hub. I ordered them from Pacific Trailers. Here are some photos in case anyone see's this post in the future.